Much of the expansion of the Jewish population in the West Bank has been in the large blocs west of the security barrier. 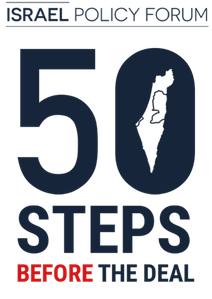 While much attention is paid to the overall settler population, the real problem posed to establishing an eventual Palestinian state in the West Bank is not about the number of settlers but the footprint of settlements. The Israeli government should commit to building up rather than out and maintain the blocs’ “blue lines.” This will allow the population of settlement blocs that will be kept by Israel in any future peace deal to continue growing rather than be artificially constrained without taking up any more territory in the West Bank that can go toward a future Palestinian state. To really understand why Kerry — and many others, on both sides of the conflict — see the settlement issue as such a dire threat to the viability of a future Palestinian state, you need to grasp two important things. The first is that the entire area of land we’re talking about here, which encompasses both Israel and the Palestinian territories, is incredibly tiny. 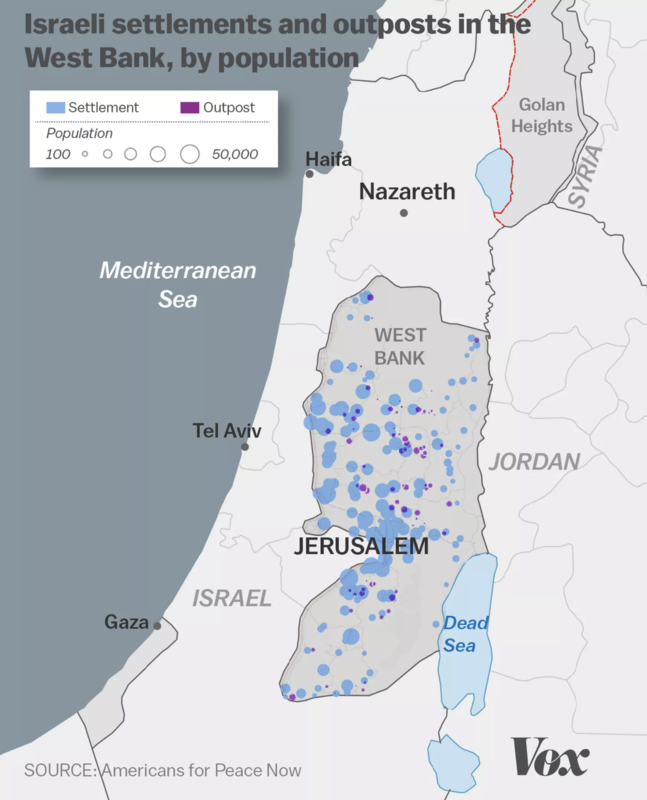 This is why even the smallest settlements can cause a major backlash, especially when they’re located in places that, if they were to remain, would break up a future Palestinian into disconnected chunks of land and prevent it from being a contiguous state. The second is the explosive growth of both the settler population and the number of settlements over the past several decades. The scale of the growth is just staggering, especially in such a relatively tiny area of land and given that Israel’s total population is estimated to be just 8.3 million people. 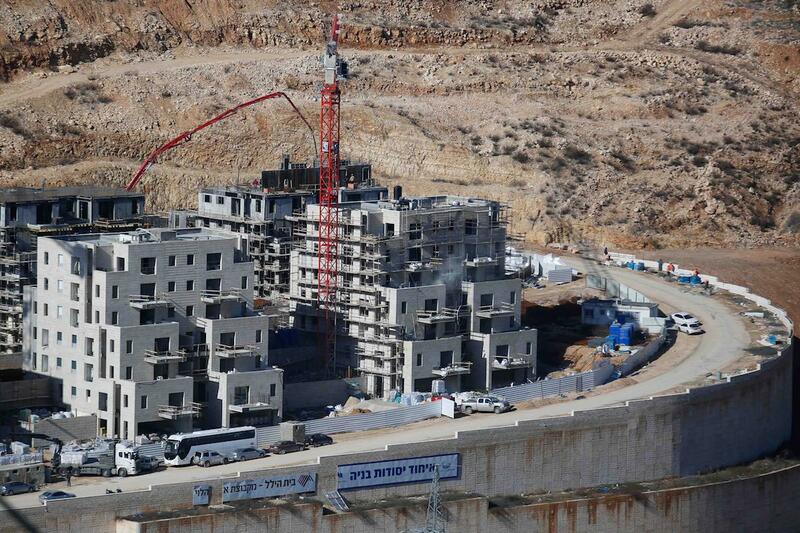 The settlements have not proved to be economically independent or successful. Notably, half of them are inhabited by less than 1,000 individuals, and only 15 are inhabited by more than 5,000 people. 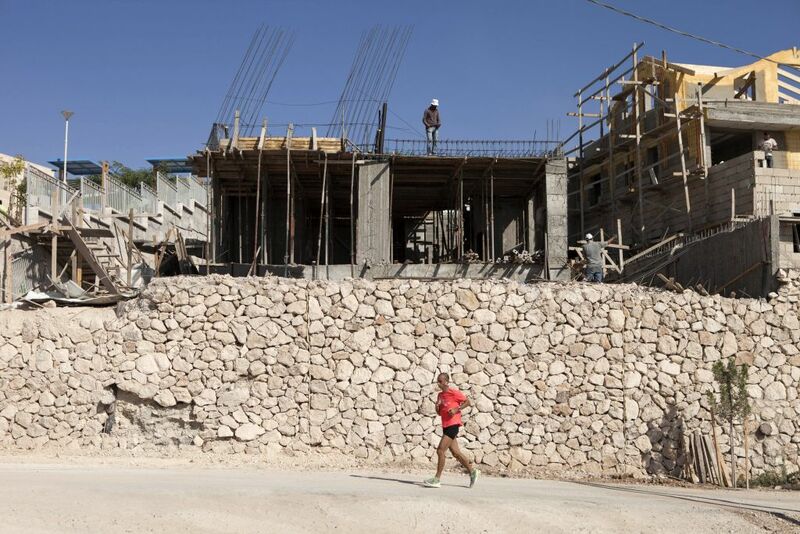 Sixty percent of the Israeli workforce in the West Bank makes it way every day to work in Israel. The majority of those who remain are employed by local authorities or the Ministry of Education. If they had to evacuate their current communities as part of a peace agreement, most would not lose their jobs. There is still no significant Israeli industry in the West Bank, and what there is employs a workforce that is almost entirely Palestinian. The same goes for the minimal Israeli agriculture that exists in the Jordan Valley.